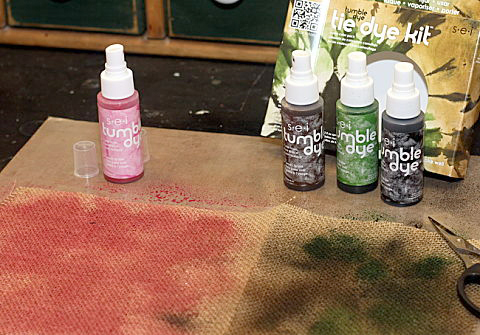 I started by spraying the cosmetic bags with brown, black and green Tumble Dye. It is the Camo set by S.e.i. I started with brown first, then black and green Tumble Dye last. 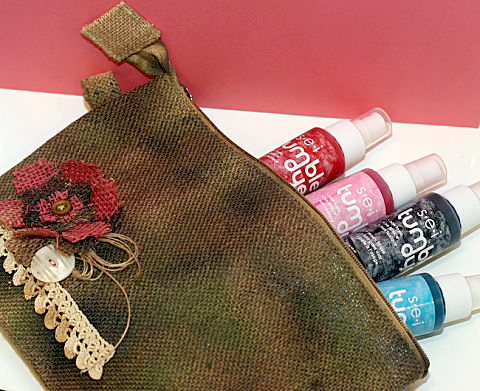 I loved the idea of adding a pink and camo flower to the front of the cosmetic bags. 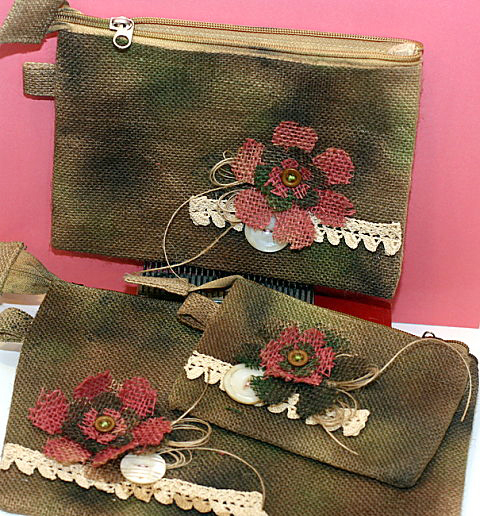 I sprayed some extra burlap with Pink Tumble Dye and the three Camo colors and then used a steel die to cut the flowers. 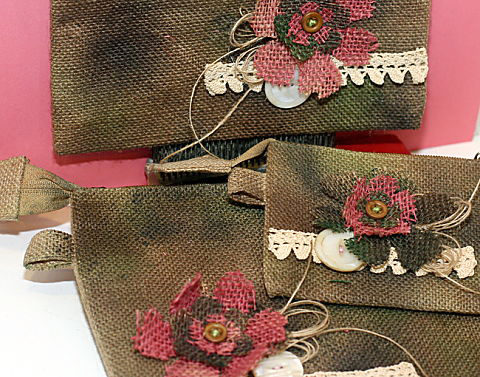 Vintage lace and a large pearl button was added to create the pink and Camo flower cluster on the front of the cosmetic bags. 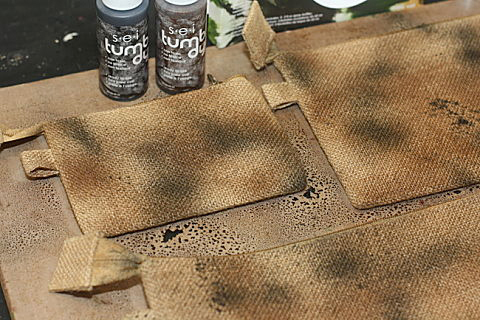 The bags were sprayed with an acrylic sealer to stop the burlap flowers from fraying. 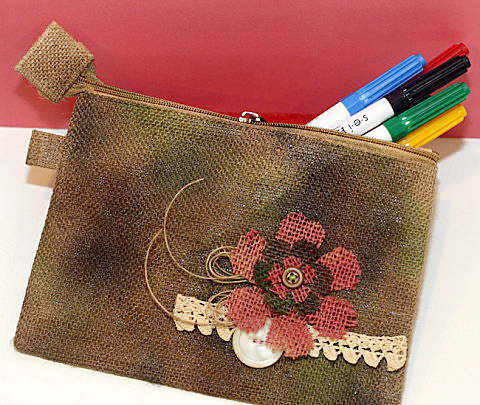 See what I mean~fabulous !! !